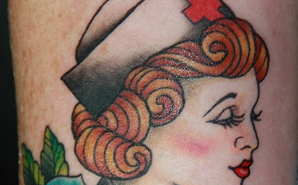 Beautiful nurse tattoo–would you get one? Tattoos are by no means for everyone. But even if you don’t have or want one yourself, you can still appreciate the good ones you see (especially since you probably see a whole lot of bad ones on the job!). 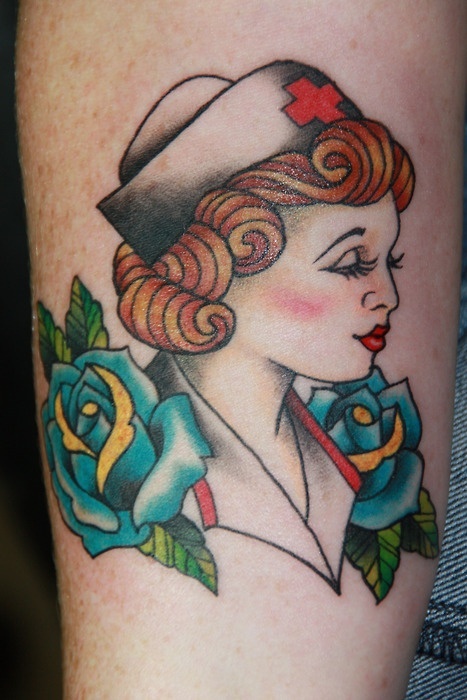 This vintage nurse was done by Christel Perkins at Sol Tribe Tattoo in Denver, CO. We think it’s a great nursing tribute. What do you think? If you ever were to get a nursing-related tattoo, what would it be?